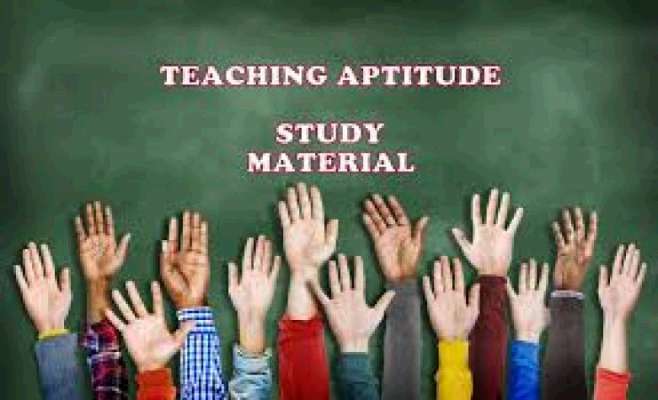 We are going to tell you about the teaching aptitude and learning aptitude quiz set 31 and about which you need to be knowledgeable, and Date Wise 26-10-2017 Teaching aptitude and learning aptitude quiz is very useful for UPSC, RPSC, 1st, 2nd, 3rd Grade Teacher, REET CTET and this topic related GK question very important and Always Asking All l competitive Exams and Related Notes, Model Paper GK Important Notes, Questions, Subject Wise Notes Related Study material etc and This is the Education Questions & Answers section on & Teaching Aptitude in Education with explanation for various interview, competitive examination, and entrance test. Solved examples. Question. (1) Students who are not your parents? जिन छात्रों के माँ-बाप नहीं हैं तो आप ? Question. (2) What will you do to know students’ problems? छात्रों की समस्याओं को जानने के लिए आप क्या करेंगे ? Question. (3) To make the students virtuous and disciplined you? छात्रों को चरित्रवान एवं अनुशासित बनाने के लिए आप ? Question. (4) Reservation in the field of education? शिक्षा के क्षेत्र में आरक्षण लागू होने से ? Question. (5) Not every person can be proficient in teaching, do you believe that? शिक्षण में हर व्यक्ति प्रवीण नहीं हो सकता है, आप मानते हैं कि ? Question. (6) What is your opinion regarding child education? शिशु शिक्षा के संबंध में आप की राय है ? Question. (7) Whose role do you consider important in changing the direction of the country? आप देश की दिशा बदलने में किसकी भूमिका को महत्त्वपूर्ण मानते हैं ? Question. (8) What will help you to increase the feeling as a teacher? एक शिक्षक के रूप में आप किस भावना को बढ़ाने में मदद करेंगे ? Question. (9) What Are you thinking about a teacher? एक अध्यापक के विषय में आपका विचार है ? Question. (10) What do you think of ideal and ethics in teaching work? शिक्षण कार्य में आदर्श और नैतिकता से आप क्या समझते हैं ?